The main task when training a puppy is getting them to enjoy working with and for you. You don't benefit from training if our puppy has great commands at home, but doesn't listen out and about. The key to that is FUN & FOCUS. If your puppy thinks that you are better than the distractions out and about, they will choose you first. Now we only need to gradually increase distractions without setting our puppies up to fail and you will have a focused pup who will do whatever you ask them to in any environment and will love doing so as well. Will you achieve this by training with your puppy once a week? No, you won't. We will provide you on a weekly basis with all the tools you need in order to train your pup and you will need to do the training on a daily basis, and continue after the 8 weeks of class. The good news is that just a few 5-minute sessions a day will be enough and those constant bonding exercises will make you and your pup the best team in no time. The first session is a lecture without the puppies where we will cover all the topics of how your pup learns what is okay in our human world and what is not, how to get the pup toilet trained, stop the nipping and jumping and what an ideal day for the pup would look like. 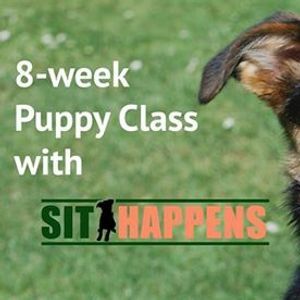 What will you and your pup learn in the following 7 weeks? Basic commands like SIT, DOWN, STAY, COME, HEEL & DROP, but even more important how to play with each other, how to communicate with each other and how to pay attention to each other in environments with distractions. How will we be able to address so many things in only 8 sessions? You will get weekly training videos from us where we explain and show the exercises already. That way we can use the time in class to answer questions, fix what isn't working and to practise in higher and higher distraction levels. You can always check back to the videos as a refresher as well. 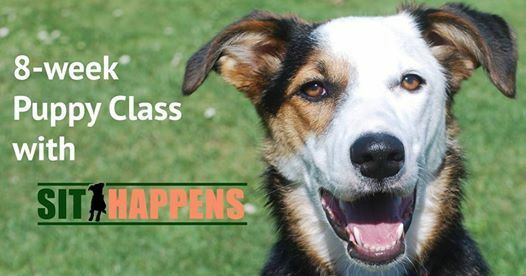 Your pups and you will enjoy every minute of class because we set training up for you to succeed. And of course the pups get to play at the end of class and we will make sure they gain confidence, learn play boundaries, don't get a fright and... have FUN.